The lab is open to all the citizens of the Eastern Province, both male and female.In order to use the tools available, all visitors need to do is sign up to the informative introductory workshops, which will give all the practical training necessary and following this they can then work on the machines with the fabrication experts. The public is also encouraged to drop in to visit, exchange ideas and network with others. Equipment at the Laboratory will include laser cutters, vinyl cutters, CNC router machines, and 3D printers that can be used to design and cut materials such as wood, acrylic, plastic, aluminum and cardboard. They will also be able to fashion and sculpt in plastic items as diverse as mobile phone cases and electrical components. Visitors can also etch and engrave metals, wood and other materials and create their own designs. The facility gives businesses, entrepreneurs, schools and communities the resources to bring their product ideas to life, educating users with the knowledge to develop new ideas, designs and products and allowing them to gain the technical skills to turn these concepts into products. 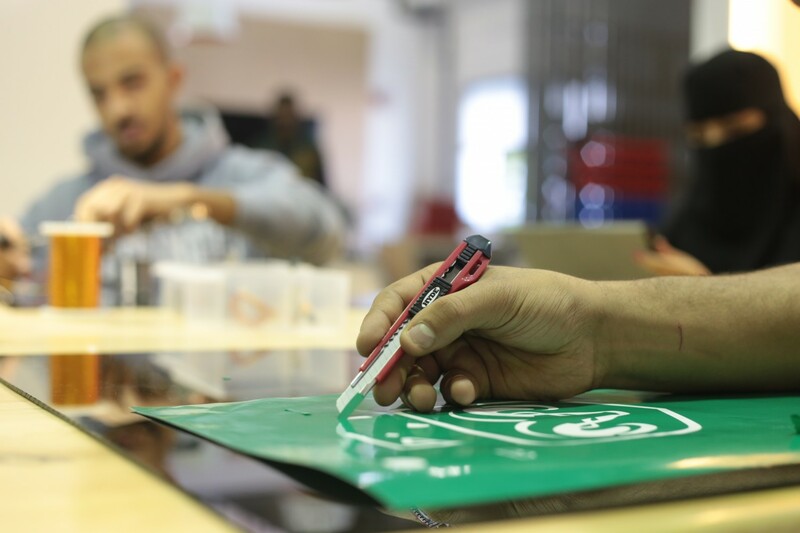 By bringing these different elements together, FABLAB-Dhahran seeks to inspire the next generation of entrepreneurs, engineers and manufacturing talent. Note: All people above 15 years old are welcome to FABLAB-Dhahran. Please click here to visit FABLAB-Dhahran’s website. Fab Lab, which is short for Fabrication Laboratory, was set up by Massachusetts Institute of Technology (MIT), with the simple idea to provide the environment, skills, advanced materials and technology where entrepreneurs, students, artists, small businesses can create something new or bespoke using the available equipment.